Real Music for Surreal People! 8 Plus Years Strong! 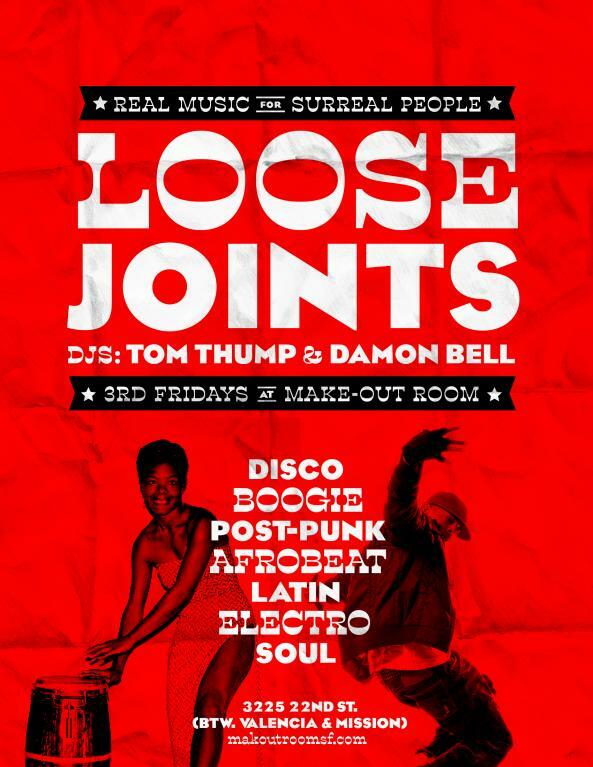 Featuring the funky duo of DJ TOm THump (All Styles & Smiles/The Play!Over!/Groove Merchant), & DJ DAmon BEll. All Vinyl! (http://makeoutroom.com) is always slammin’ and the drinks are strong. The musical selection runs from latin/funk/deep disco nuggets/afrobeat/brazilian/old school hip hop/reggae and more! 3rd Fridays 10-2am $5 b4 11p.